WNAWCANatm ' Integrated air traffic management Proven. Trusted. Applied. 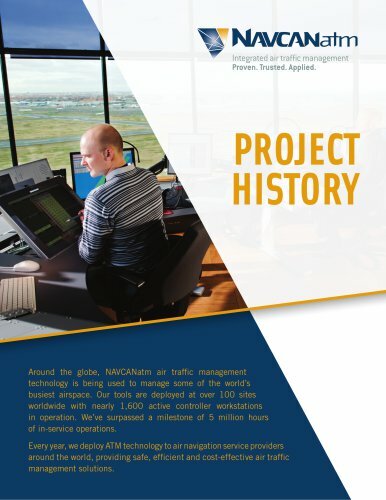 Around the globe, NAVCANatm air traffic management technology is being used to manage some of the world's busiest airspace. Our tools are deployed at over 100 sites worldwide with nearly 1,600 active controller workstations in operation. We've surpassed a milestone of 5 million hours of in-service operations. Every year, we deploy ATM technology to air navigation service providers around the world, providing safe, efficient and cost-effective air traffic management solutions.